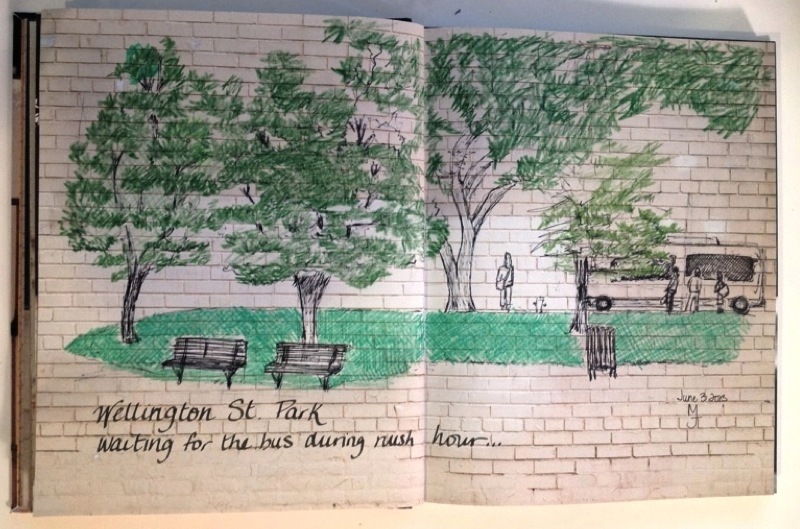 I attempted do draw one of the parks along Wellington Street downtown Ottawa during one of my walks with Newton a couple days ago. He was not feeling staying put that day, so I did a quick sketch with a pen and added the leaves and grass in green later on. I decided to draw in my walls notebook to do this sketch. I might try this again. It's interesting to have different backgrounds and it's also a good way to actually use the book.